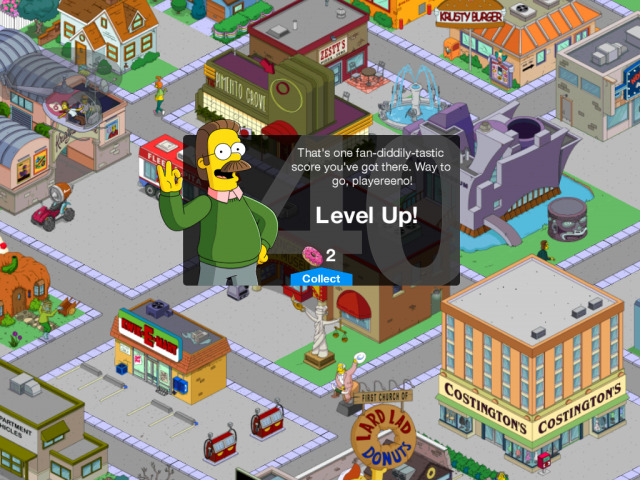 Welcome to the AppGamer Guide for The Simpsons: Tapped Out - the Freemium Grinder City Building game that set the standards for the genre and type. Tapped Out brings you the experience of creating your own custom Springfield, restoring all of the characters that you know and love, and takes you through a wide variety of missions and quests that are part of the primary (free) game. The Premium Side includes loads of special buildings, characters, items and objects, with many of the Premium Characters adding unique new missions and quests to the game. The game begins with Homer Simpson playing a Freemium Grinder on his myPad at work - so deep into the game that he fails to hear the alarms, and considering that his job is safety officer, that is not a good thing! The nuke plant goes into meltdown and explodes, taking out the town of Springfield and the surrounding areas - including the Krystyland Amusement Park! That is where you come in - starting your game in a destroyed world with just Homer Simpson and the need to clear Land and rebuild Springfield!